Most of the professional telescope are designed with complex details which may only suit stargazing professionals to operate. To look for a specific celestial in this crowded sky to observe could be very difficult without a map. We want a telescope that is a combination of the professional optical technology and the convenient navigation technology provided by Starwalk app. 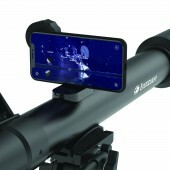 It provides a comfortable and high quality stargazing experience for users from beginner to professional level with the help of the Starwalk 2 app, while users are able to take pictures or videos through the lens of the telescope. The lens in the telescope body are Achromatic Multi-Coated. 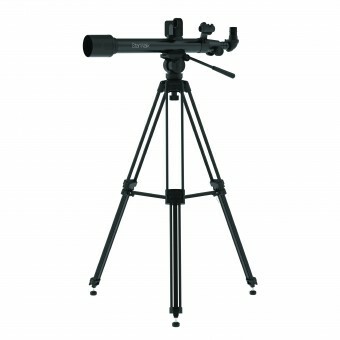 The tripod fits both left and right handed users. We provide 3 type of eye-pieces for viewing in different circumstances. The operation of the iPhone adaptor is very simple with the help of magnet mechanism. 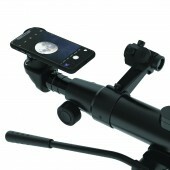 Once the telescope is fully assembled, place the iPhone on the iPhone adaptor, which is attached to the telescope body. Users can tilt the telescope toward their targeted constellation according to the star map in the provided Starwalk app (exclusive version). 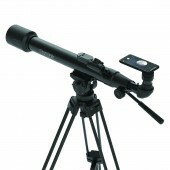 Users can apply different eye-pieces or adjust the focusing knob on the telescope for a clear vision. The iPhone adaptor can also be attached to the viewing eye-pieces for photos or videos taking. Users can then share their observation with others. This project starts in May 2016 and is expected to be introduced to the market in May 2018. The telescope is manufacture in a non-polluted environment in order to ensure no dust is effecting the viewing quality. Choosing the suitable tripod is very important, it has to be strong and steady enough to make sure the teleport is not shaking while using. Also, the phone adaptor is tailor made for iPhones, the design of it has to be very user-friendly and trust-worthy for users to place the iPhone on the telescope. Galaxy Tracker Nova Telescope Telescope by Eastcolight Design Team is a Nominee in Toy, Games and Hobby Products Design Category. · Click here to register today inorder to be able to view the profile and other works by Eastcolight Design Team when results are announced. Galaxy Tracker Nova Telescope Telescope by Eastcolight Design Team is Winner in Toy, Games and Hobby Products Design Category, 2017 - 2018. · Press Members: Login or Register to request an exclusive interview with Eastcolight Design Team. · Click here to register inorder to view the profile and other works by Eastcolight Design Team. Did you like Eastcolight Design Team's Toy Design? 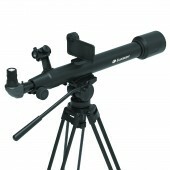 Did you like Galaxy Tracker Nova Telescope Telescope? Help us create a global awareness for good toy design worldwide. Show your support for Eastcolight Design Team, the creator of great toy design by gifting them a nomination ticket so that we could promote more of their great toy designs.